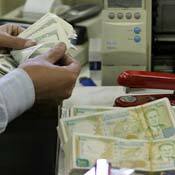 Syria’s economy continued to grow at about 4 percent last year, as the impact of the global crisis remained limited, an IMF report said. The report by the International Monetary Fund consisted of the preliminary findings of a mission conducted in Damascus last December under Article IV of the IMF’s Articles of Agreement. An increase in the unemployment rate to 11 percent, a decrease in the inflation rate to 2.5 percent, partly due to a reversal in global prices of food and other basic commodities, and a widening fiscal deficit to 5.5 percent due to “counter-cyclical measures to mitigate the effects of the global economic crisis” by the Government are among the main consequences of the global economic and financial crisis on the Syrian economy. Projections for the coming year were relatively optimistic. The economy’s total output, excluding oil, is expected to rise by some 5 percent this year, led by a recovery in agricultural output, exports, FDI and remittances. A relatively good raining season is likely to lead to an increase in yields in cereal crops, including wheat. More significantly the report commends the Government’s efforts at streamlining public financial management, reforming the oil subsidies system and preparing for the introduction of the Value Added Tax. Long awaited, and delayed, VAT is now expected by the Government to enter into force, although the deadline is still seen as too optimistic by many analysts. Syria’s economy is expected to grow by 4 percent in 2010 and 5.5 percent in 2011, according to a recent World Bank report. This forecast is published in the Global Economic Prospectus 2010. Syria’s growth level is above the MENA region’s average of 3.7 percent. The WB estimates Syria’s real GDP growth in 2008 and 2009 at 5.2 and 3.0 percent respectively. Meanwhile, the current account deficit is expected to rise again this year to 4.3 percent of GDP, from 3.2 percent in 2009 and 4.0 percent in 2008, before falling slightly again to 4.0 percent next year. وبحسب صحيفة الوطن فإنه ببساطة يعني أن معدل التضخم الحاصل على الكتلة النقدية خلال 2008، والذي تعدى 15%، تمت إضافته إلى كامل الكتلة باعتباره أمراً واقعاً، أي أصبحت الـ100% عملياً115%، ثم تضخمت النسبة الإجمالية بحدود 2.8% خلال العام التالي. وكأن المركزي للإحصاء يقول كان حجم الكتلة النقدية في السوق عام 2007 نحو 100 مليون وحدة، وتضخم في 2008 ليصبح 115 مليون وحدة، ثم أضيف إليه عام 2009 مبلغ إضافي هو 2.8 مليون وحدة، وهذا كل ما في الأمر!. ولكن، بحساب معدل التضخم خلال العامين معاً (2008 و2009) واستناداً إلى عام 2007 كسنة قياس، نجد أن التضخم “تراكم” خلال العامين معاً (15.15% زائداً 2.8% يساوي 17.95%)، بمعدل وسطي يقارب 9%، وهذا يعني معدلاً مرتفعاً للتضخم في الاقتصاد الوطني على المدى المتوسط. وإذا كان قياس التذبذب اليومي لسعر كيلو غرام سلعة غذائية غير مجد اقتصادياً إلا في رسم المؤشرات (قليلة القيمة)، فإن قياس التضخم على المدى القصير جداً لا يحمل أي معنى مفيد ولا أدنى قيمة، اللهم إلا في حال تم إعلان جزئياته التفصيلية لأخذها بالاعتبار ومعرفة مواقع الخلل لتوجيه الإصلاح نحوها . إذ إن المطلوب من قياس التضخم هو إظهار مدى تراكميته واستقراره على المديين المتوسط والطويل بهدف وضع الحلول لمحاصرته، وليس فقط لإطلاق الأرقام جزافاً وإعلان السعادة عند كل نجاح في الحساب الرياضي، وليس من التجديف القول هنا: قد يكون لمعدل التضخم الجديد علاقة بنية الحكومة ربط الأجور بالتضخم؟!. Haitham Satayhi – member of the Regional Leadership of the ruling Baath Party and a close friend of the President, says there will be no privatization of the public sector industries. كشف مسؤول سوري رفيع ان سورية رفضت التوقيع على اتفاقية الشراكة مع الاتحاد الأوروبي مؤخراً لأسباب سيادية وأخرى اقتصادية. وقال عضو القيادة القطرية لحزب البعث الحاكم في سورية هيثم سطايحي ان الرئيس السوري وجه للحكومة التي يرأسها ناجي عطري برفض توقيع اتفاقية الشراكة لأن الجانب الأوروبي هو مَن حدد موعد التوقيع وأبلغ الجانب السوري بهذا الموعد دون الرجوع إليه الأمر الذي اعتبره المسؤول السوري ‘افتئات’ على السيادة السورية ما استدعى رفض التوقيع. وأضاف عضو القيادة القطرية في حديث له خلال مؤتمر اتحاد الكتاب العرب في دمشق أن ثمة نقاطا في اتفاقية الشراكة ستفوت على سورية في حال توقيعها العديد من الموارد الاقتصادية الأمر الذي تطلب رفض التوقيع لحين معالجتها، موضحا أن رئيس الوزراء الاسباني خوسيه ثاباتيرو وعد الجانب السوري بمزيد من الحوار والدراسة حول بنود الاتفاقية مع تسلم إسبانيا رئاسة الاتحاد الأوروبي. وكانت الرئاسة السويدية للاتحاد الأوروبي أكدت أواخر العام 2009 أنها تسلمت رسالة من وزير الخارجية السوري وليد المعلم يقول فيها إن مراسم التوقيع على اتفاق الشراكة السورية الأوروبية لن تتم في 26 من تشرين الأول (أكتوبر) 2009 وأن المعلم شرح في رسالته أسباب ‘تردد’ سورية في التوقيع على الاتفاق وفق الموعد الذي حدده الاتحاد الأوروبي. وأعلن وليد المعلم، في مؤتمر صحافي مشترك مع نظيره الإسباني إنخل موراتينوس بدمش في وقت سابق أنه تلقى دعوة من نظيره السويدي للتوقيع على اتفاق الشراكة السورية الأوروبية في 26 تشرين الاول (أكتوبر) العام الماضي وأن هذا الطلب سيخضع للدراسة مبيناً بطريقة تهكمية أنه يتمنى على نظيره الاسباني أن يشرح له معنى هذا الاتفاق، وأعرب حينها المعلم عن مفاجأته بالموافقة الأوروبية، وقال ان هذا الاتفاق جمّد من قبل الاتحاد الأوروبي في العام 2004 لذا لا بد أن تدرس الحكومة السورية كل التفاصيل المتعلقة بالاتفاقية، وإن أنجزت الدراسة خلال الرئاسة السويدية، وإلا فخلال الرئاسة الاسبانية. وفي سياق آخر، أكد سطايحي أنه لا خصخصة للمؤسسات الاقتصادية السورية، مجدداً تمسك سورية باقتصاد السوق الاجتماعي وركز على البعد الاجتماعي الذي يحمي المجتمع، وأكد أنه لن يُسمح بأن يكون هناك اختراق ثقافي لسورية من قبل أعدائها. WASHINGTON — The Obama team may get modest benefits from ending a five-year chill with Damascus but will find it hard, if not impossible to peel Syria way from hardline ally Iran and break the Arab-Israeli stalemate, analysts said. US President Barack Obama’s administration said last week it submitted its nominee for ambassador to Damascus, the fruit of a year-long drive to engage Syria in a bid to promote Arab-Israeli peace. Syria says it is studying the proposed nominee, who is widely reported to be Robert Ford, a career diplomat with experience in Arab countries like Algeria and Iraq, his most recent posting. He would be the first US ambassador to Damascus since the one recalled after former Lebanese prime minister Rafiq Hariri was killed in a bombing blamed on Syria on February 14, 2005. Analysts said a thaw in ties can allow Washington to reap benefits from intelligence cooperation with Damascus and improve chances for Syria-Israeli peace, even while Palestinian-Israeli peace remains elusive. Indeed, investigative journalist Seymour Hersh, writing in the New Yorker last week, disclosed that the Syrian secret services have already resumed cooperation with the CIA and Britain’s MI6. Aaron David Miller, who was a Middle East adviser in past US administrations, said Washington can achieve modest objectives, such as intelligence sharing, but he set expectations low. The appointment of an ambassador “doesn’t reflect anything like a significant improvement, let alone a transformation in the US-Syrian relationship,” Miller told AFP. Syria is a hard nut to crack, he said, because President Bashar al-Assad, from the minority Alawite sect, focuses foremost on ensuring his regime’s survival — and that means having strategic ties with non-Arab and Shiite Iran. “I’m not suggesting that it (the relationship) isn’t amenable to change, but it would only change if the Syrians could convince themselves that they could get their needs met elsewhere,” he added. And its needs flow from its stakeholding in Lebanon via Hezbollah, the powerful Shiite Muslim political and militant movement which Iran has also backed in its decades-old campaign against Israel. “As long as the Hezbollah-Iranian relationship is as close as it is, the Syrians, I think, will only alienate the Iranians at their own peril,” Miller said. He said Assad’s Syria, which has a majority Sunni Muslim population, sees Iran as a hedge against a Sunni-led Arab world that it mistrusts, while it also looks to energy-rich Tehran for economic support. Syria also needs Israel to return the Golan Heights, which was captured in the 1967 Arab-Israeli war, said Miller, a Woodrow Wilson Center policy scholar. Despite the odds, he said, it is worth the effort to improve US-Syria ties, “manage” Lebanon, try to promote Syrian-Israeli peace talks, and “even make the Iranians nervous,” as is likely with the ambassador’s appointment. But Miller doubted that a “fundamental improvement” in US-Syrian ties can occur before a peace breakthrough between Israel and Syria, which would require Damascus to open up economically and cut support to militants. Jon Alterman, a former State Department policy planning staff, did not expect Syria to abandon its strategic alliance with Iran but said it could “rebalance its relationship” with Tehran and Washington. And that could blunt Iranian ambitions in the region. “Having a more isolated Iran may lead to an Iran that is more cautious in its dealings, for fear of further antagonizing the rest of the world,” …. In a rare occurrence, Deputy Foreign Minister Danny Ayalon shook the hand of Saudi Arabia’s Prince Turki al-Faisal during the annual security conference in Munich on Saturday. The handshake was preceded by the prince’s attempts at avoiding participation in a panel alongside Ayalon, a consequent uproar and a sharp American condemnation of the Saudi behavior. The security conference took place over the weekend, and was attended by dozens of world leaders, foreign ministers and senior officials. On Saturday, a panel convened on the topic of the Middle East. The panel was to include both Ayalon and the Saudi prince, who formerly served as the head of the Saudi intelligence service, as well as the Turkish foreign minister, U.S. Senator Joe Lieberman and senior Egyptian and Russian officials. However, when Ayalon arrived at the conference on Friday, he discovered that the panel in which he was set to participate had been split into two separate panels. The first panel was to include the Saudi prince and other Saudi officials, as well as officials from Egypt and Turkey, followed by a separate panel to include himself, Lieberman and the American and Russia representatives. U.S. Senator Lieberman joined Ayalon’s criticism, saying “I am disappointed with the Saudis,” adding that he had thought that he was participating in a six-person panel, only to discover that the panels had been split because the Saudis refuse to sit with the Israelis. The Saudi prince, who was sitting in the audience at the time, rose from his seat and rushed to deny the allegation that he had requested the split. Ayalon quickly responded “if that is so, come and shake my hand.” The prince refused to get on the stage, but Ayalon did not lose his stride, announcing that he would be willing to get off the stage. He then walked toward the prince and shook his hand. “Israel is committed to peace,” he told the prince. The handshake was a rare public occurrence between and Israeli and a Saudi official. Prince al-Faisal holds no official post in Saudi Arabia currently, but he is considered to have a very high status among Saudi royalty. RIYADH: A senior Saudi diplomat said Sunday his handshake with Israel’s deputy foreign minister at a Munich security conference was no step toward recognition of the Jewish state. Prince Turki al-Faisal, the country’s former intelligence chief and ex-ambassador to the United States, said his handshake Saturday with Israeli Deputy Foreign Minister Danny Ayalon only came after Ayalon apologised for actions that Turki objected to. “This event should not be taken out of context or misunderstood,” Turki said in a statement received in Riyadh. “My strong objections and condemnations of Israel’s policies and actions against the Palestinians remain unchanged. “It is clear that Israel’s Arab neighbours want peace, but they cannot be expected to tolerate what amounts to theft, and certainly should not be pressured into rewarding Israel for the return of land that does not belong to it in the first place,” Turki said. Turki, who though currently with no official government title continues to carry out diplomatic work for the Saudi government, said the handshake came after Ayalon publicly reprimanded him for not sitting together on a panel at the annual international security conference in Munich. “I objected to sitting on the same panel with him not because he is the deputy minister of foreign affairs of Israel but because of his boorish conduct with the Turkish ambassador to Israel Ahmet Oguz Celikkol,” Turki said. In January Ayalon made a show of publicly humiliating Celikkol to demonstrate displeasure with a Turkish television show critical of Israel. Turki also said he objected to Ayalon’s allegation that Saudi Arabia has not provided any aid to the Palestinian Authority — when in fact Riyadh has provided hundreds of millions of dollars to the authority. “Mr. Ayalon then asked me to come up to the podium to shake hands to show that there were no hard feelings,” Turki said. “I pointed to him that he should step down from the podium,” Turki said. Ehud Barak said what he had to say, Bashar Assad did not understand or maybe he did, Avigdor Lieberman uttered his usual concoction, Benjamin Netanyahu explained that “we want peace,” and life is good. Everything is all right. This week’s ruckus is over. All that remains is the media circus. Because war, we should recall, is not something Israel does in winter. The chatter, on the other hand, works all year round and Lieberman is its strategic asset. Lieberman can babble on about the collapse of the Assad family’s rule, swear at Hosni Mubarak and ridicule Jordan. His importance at the Foreign Ministry compares only to that of the Strategic Affairs Ministry under Moshe Ya’alon or the Regional Development Ministry under Silvan Shalom. These three frustrated ministries fall under the category “we want peace” and have transformed chatter into policy. But Lieberman is not really the problem. The root of evil is the hoax of “we want peace,” because Israel is not really interested in peace with Syria – not at the cost of withdrawing from the Golan Heights. Israel’s working assumption is that there is no rush for negotiations with Syria; our northern neighbor does not constitute a military threat and its regional position does not allow it to rally the support of other Arab countries to carry out a full-blown war. Syria can be threatened without risking damage. Syria itself “contributed” to this Israeli approach by keeping the border calm for decades, and there is no way to convince Israelis, who understand only Katyushas and Qassam rockets, that Syria is a threat for which a single bed-and-breakfast needs to be removed from the Golan. The Syrian promise for the “fruits of peace” is also shoddy. Compared to Saudi Arabia or the United Arab Emirates, Syria is not offering any real economic incentives to make peace. But Syria holds an asset that Israel does not recognize. Peace at this time means the possibility that Israel’s strategic position in the Middle East and the world will change. Syria is a key country along a new axis being formed in the Middle East, which includes Turkey, Iran, Saudi Arabia and Iraq. The backbone of this axis is economic, security and diplomatic cooperation that would replace the old axis of Egypt, Saudi Arabia and Jordan. The Israeli Deputy-Foreign Minister is a buffoon. He practically forced the Saudi prince to shake his hand. That “shakehand” impresses no one. Syria is a major enemy of Israel’s (unlike KSA). If Israeli journalists will be allowed into Syria, to cover the country, and to conduct interviews with simple people and the leadership, that will have a tremendous effect on Israelis. I doubt you’ll find anyone, from far Right to far Left, who’ll disagree. If we are going to allow privatization, then lets do it with transparency and accountability and give everyone a chance. Enough with the propoganda. Saudia Arabia recently declined to accept a new ambassador from Pakistan, because his name, His first name is Akpar, his last name is zip. John Murtha died because the surgeon poked a hole in his intestine during Gall Bladder operation,Lap Cholecystectomy. I feel very proud today of being Egyptian. For the first time since 1979, a great Egyptian has made it clear for everyone who can listen that Israel is the enemy of Egypt and the whole world. The talented coach of the Egyptian soccer team has told the zionist daniel shahak that he would rather die of hunger if need be than train Israelis after the zionist extended an offer to Hassan Shahateh to train an Israeli team. Of course, Egypt, which has fed the lost and backward bedouins of yaacoub, when they were suffering from starvation is well capable of feeding millions like the Egyptian coach, Hassan Shahateh. I am hopeful that this noble act by Hassan will help to cleanse Egypt and the Egyptians of the shame brought upon us by Sadat. I am sure that millions of Egyptian will follow suite and emulate our new hero, hopefully leading to the expulsion of the so-called ambassador of the midget state of israel from our beloved Cairo. حسن شحاته وحش. أجدع ناس. just a note – the current Syria Comment poll doesn’t work for me because I don’t see the two options as mutually exclusive. Majed, apparently that Pakistani ambassador story is not true. Sadly, KSA is a US-client and is already a de facto ally of Israel. I don’t see how this hand shake (which, as Shai noted, was forced) makes any difference. Yes, AP, Egypt is a police state run by a geriatric dictator and his gangster friends. They have arrested thousands of moderate Islamists, democrats, trades unionists, etc. If it weren’t a police state it would not host an Israeli embassy. The majority of the great people of Egypt share al-Masri’s point of view. We know that already. What exactly are you trying to show us? fascinating reading…wonder what Karfan would say….